In recent months, news about an opioid epidemic has shaped a large portion of the national discourse and policy at the local, state, and federal levels. Before delving into details about these substances, we will first look at the context presented by the “epidemic narrative.” The first reading for Module 11 is a fact sheet prepared by the American Society of Addiction Medicine, Opioid addiction: 2016 facts & figures. The second reading is from the National Institute on Drug Abuse (NIDA, 2017) and addresses the nation’s opioid crisis. key terms related to opioid misuse and addiction. side effects (and addictive potential) they are usually reserved for treating severe pain or maybe moderate pain of a short duration. Many physicians were trained to believe that these pain medications were not addictive for patients truly experiencing pain. This mistaken belief, combined with being trained to believe that failing to adequately manage pain was unethical, led to much over-prescribing of these medications. This was only part of the opioid problem spiraling out of control. Violent crime and weapons are often involved in the illegal distribution of these substances. Third, the opioid picture is seriously compounded by the emergence of fentanyl and carfentanil (or carfentanyl) onto the scene. Accidental overdose involving these more powerful synthetic opioid substances is all too easy. Fentanyl has 50-100 times the potency of street heroin. Carfentanil has 100 times the potency of fentanyl. Carfentanil was originally formulated to sedate elephants, not for human use. These two drugs are showing up as additives to a variety of “street” drugs—heroin, reconstructed opioid pills, cocaine, and marijuana. Recently, first responders and drug-detection dogs have experienced overdose events as a result of accidentally coming into contact with even very small quantities of these substances. The photo in Figure 1 comes from the New Hampshire State Police Forensic Lab (see https://www.statnews.com/2016/09/29/fentanyl-heroin-photo-fatal-doses/ ). 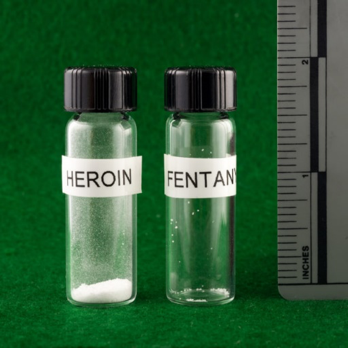 The DEA has issued a nationwide law enforcement alert that breathing in or touching even small specks of fentanyl can cause a fatal overdose—amounts similar to a few grains of table salt (https://ndews.umd.edu/sites/ndews.umd.edu/files/DEA%20Fentanyl.pdf ). Now, imagine the small amount of carfentanil exposure that could be fatal. Finally, think about the implications of these substances being loose in the community—present on discarded drug paraphernalia or contaminating household or auto furnishings. This is similar to an issue we explored when we looked at the community impact of illegal methamphetamine production—these substances represent environmental hazards to others who may not be aware of their presence. 1 Additionally, you may be interested in reading Sam Quinones’ book, Dreamland: The True Tale of America’s Opiate Epidemic, if you are interested in an analysis of how the nation got from heroin being a back alley drug during the 1970s to “now it’s your neighbor’s child,” and the role of pharmaceutical companies in the developing opioid tidal wave (2015). Ch. 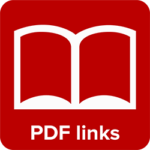 1: The Opioid Epidemic by Audrey Begun is licensed under a Creative Commons Attribution-NonCommercial-NoDerivatives 4.0 International License, except where otherwise noted.